Mail is such a treat, to send or receive! 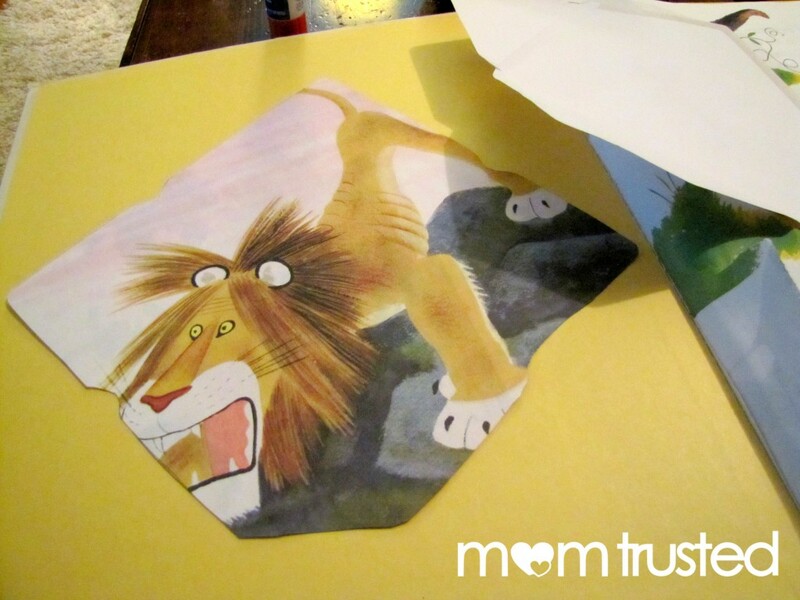 Make these super adorable envelopes to send some mail to special kids in your life. Start by choosing a book. It could be one your kids have outgrown, or have treated a little too roughly. In my case, I found this one at a thrift store. It had obviously seen some better days (had some rips and a missing page), but the illustrations were too good to pass up. I decided making some stationary out of the book pages would be a good way to give this well-loved book a second life. 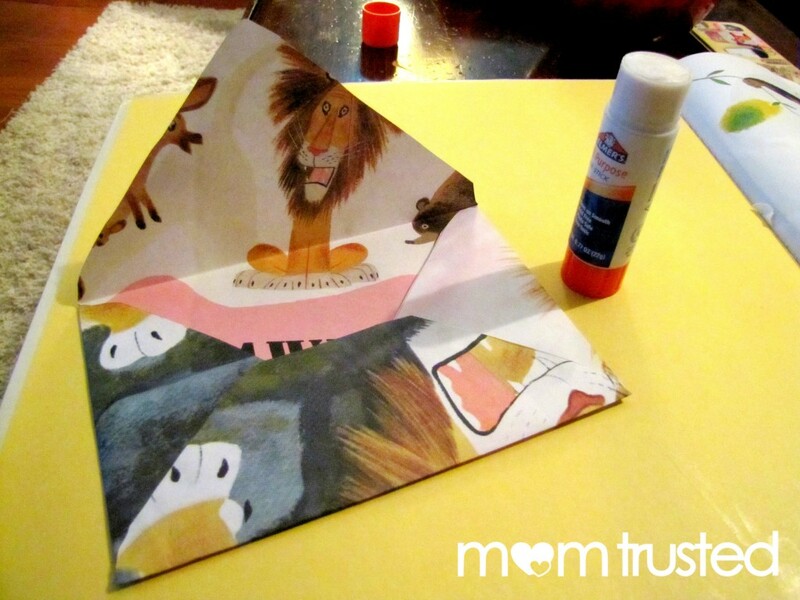 Take apart an existing envelope. This will be your stencil. Trace the stencil onto pages of the book. 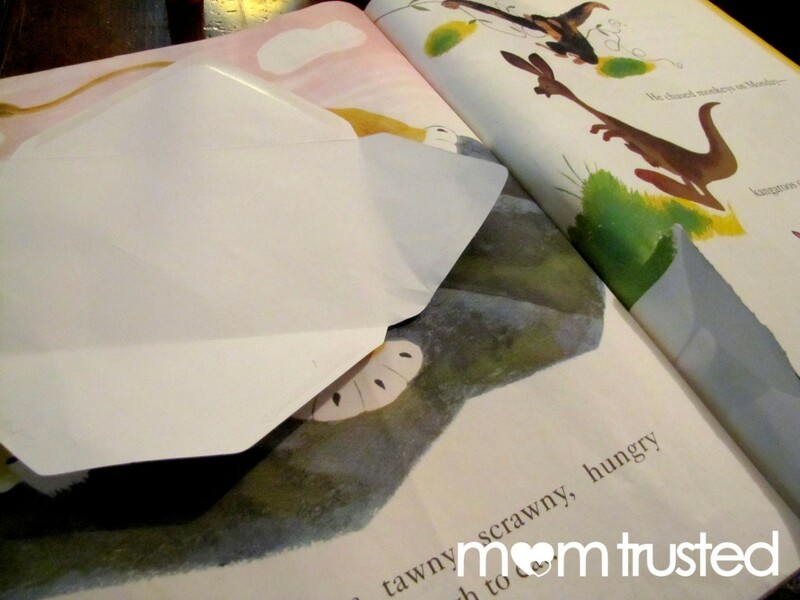 Cut out the envelopes and fold them (again, using your existing envelope as a guide if needed). 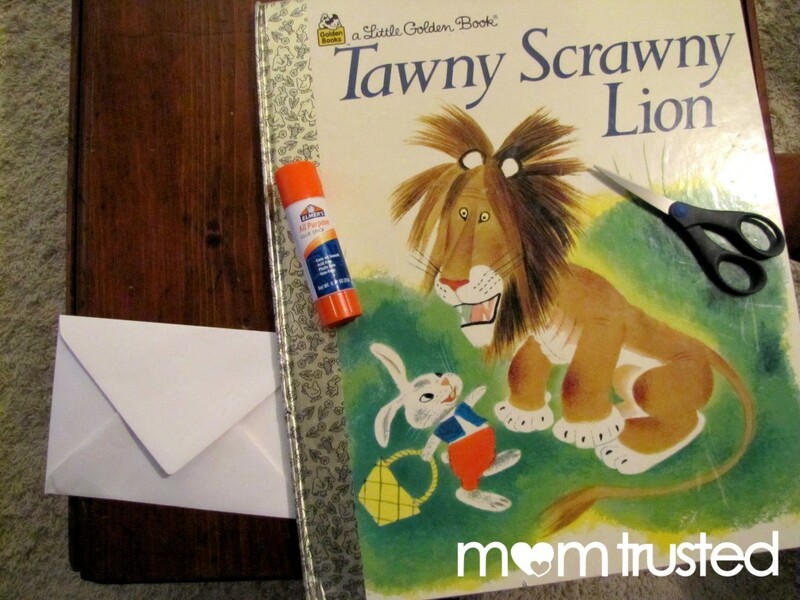 Use a gluestick to secure the bottom flaps of your envelope. That’s it! 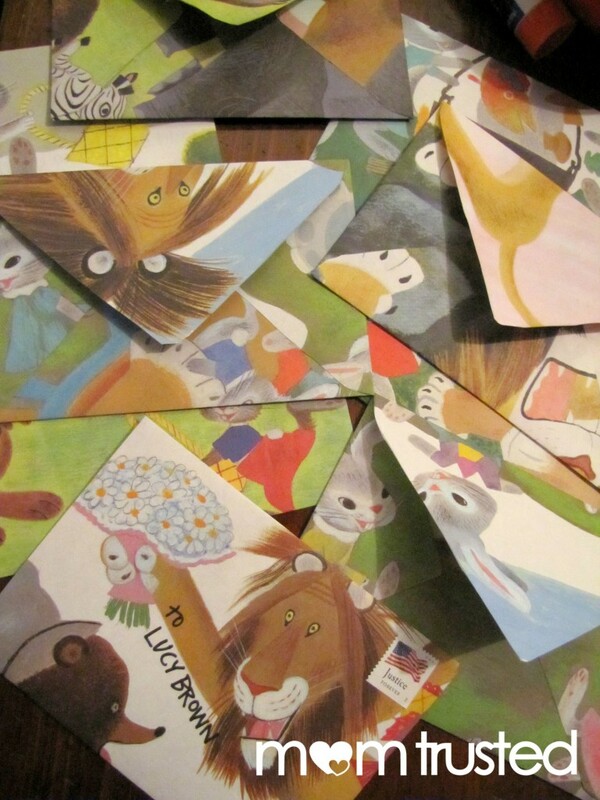 When you fill the envelopes, send some mail to your favorite kids! 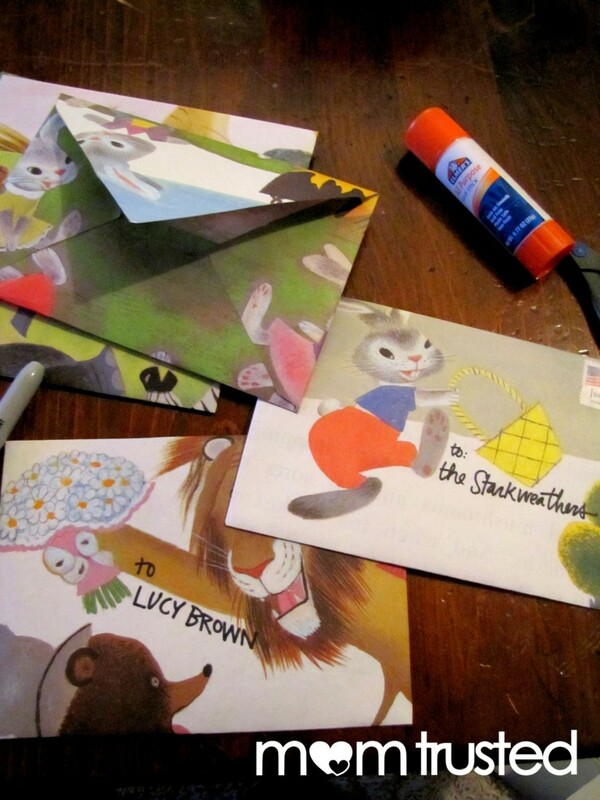 Hopefully, they’ll be excited as I would be to get one of these cute envelopes in the mail! I seriously can’t wait to get some of these on their way to their recipients! 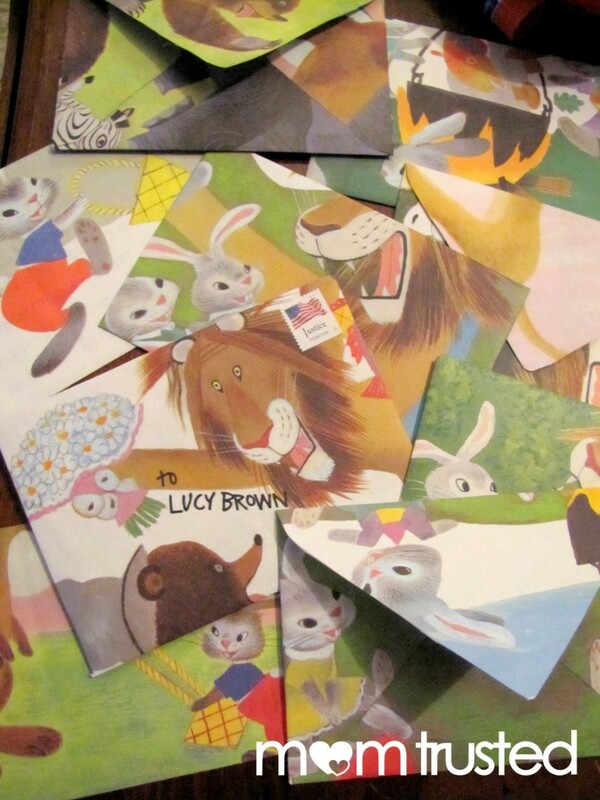 Who knows – maybe they’ll inspire a new generation of correspondence! See more of Gustaf Tenggren’s illustrations here. You may be surprised at his work!